After decades of development that prioritized the construction of roads and buildings without much concern for the environment, many of our streams, forests, and floodplains have disappeared. As a result, heat is trapped and magnified, especially in cities; polluted stormwater and untreated sewage flows into waterways; and residents everywhere have too few opportunities to enjoy open spaces and cultivate a healthy connection to nature. We can address these issues by first recognizing nature as a vital component of cities that is woven into the the built environment and integral to the health and well-being of residents. 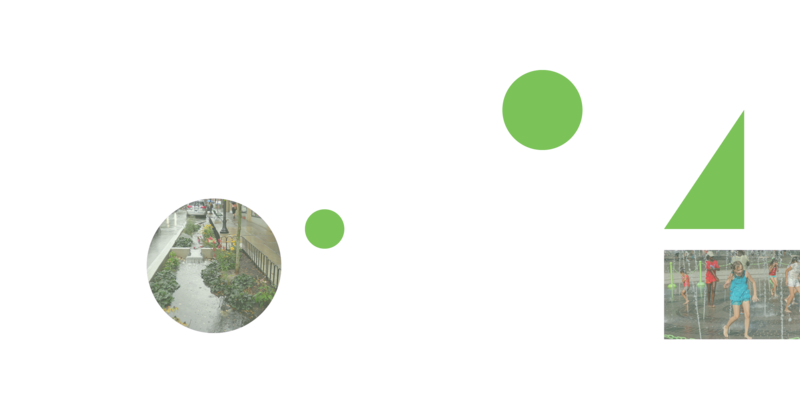 With more trees, rain gardens, and green roofs in our neighborhoods and downtowns, we can help prevent sewer systems from overloading and discharging pollutants into waterways. These improvements would mitigate rising temperatures and help restore the region’s harbors and estuaries, while also creating a healthier and more pleasant place to live.